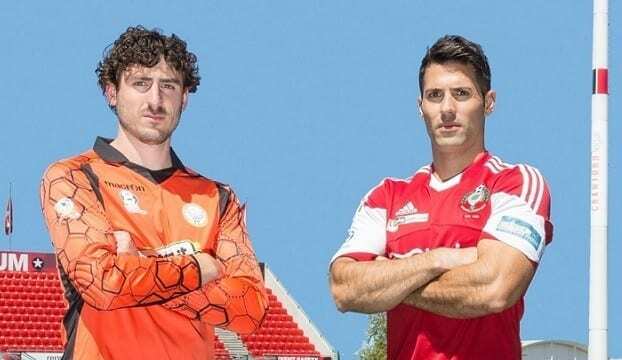 West Torrens Birkalla and Campbelltown City go head-to-head in Round 9 of the PlayStation 4 National Premier League South Australia. A win will be key for both sides, with Birkalla looking to make ground on the three teams above them, and Campbelltown looking to pull away from the pack. Birkalla have been the surprise packets so far this season, currently sitting in fourth position after finishing in eleventh at the culmination of 2014. But the strong form shown this season by the side comes as no surprise for midfielder John-Paul Cirillo. “To many people it’s probably a surprise, but to our playing group we think we’re sitting where we want to be; we’re a young squad and a lot of people underestimate us, but I think fourth is deserving. Only four points separate Birkalla and their opponents Campbelltown, and as such, Cirillo has put this week’s fixture down as a must win. Cirillo said the side would stick to the game plan that has payed dividends. “We go out very attacking; we’ve got a very exciting, young group of boys.